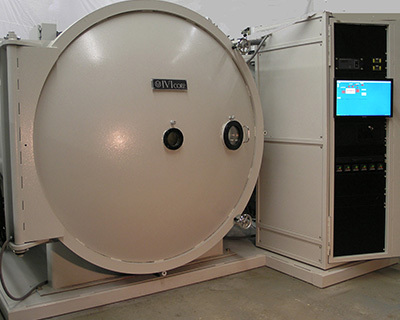 ION VAPOR DEPOSITION (IVD) - IVI Corp.
IVI has been designing and manufacturing Ion Vapor Deposition (IVD) systems for over 40 years. IVI’s IVD Facilities have proprietary features that provide ultimate performance and productivity. 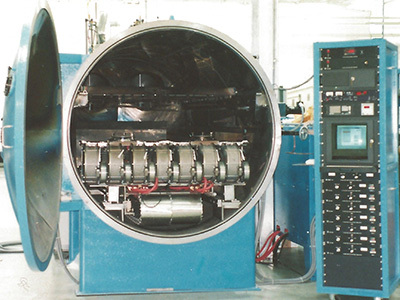 IVI’s IVD Facilities are utilized for primarily depositing aluminum. Ask about other deposition materials. Parts to be processed may be steel, titanium, aluminum alloys and other metals – providing high performance corrosion protection and cosmetic appeal. Ask about other processed parts materials. IVD, in addition, is a green process in regards to the environment. IVI’s Specially Designed “Quadri-Phase”TM Vacuum Pumping System provides phenomenal gas handling performance on all IVD Systems – an extremely important feature for the IVD process. 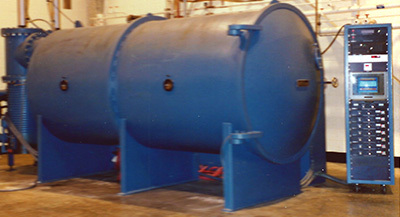 Ask about the many features of IVI’s Twin Barrel Facility that simplify your productive capacity. If you have a special IVD application, ask IVI. We may have already done it.